Rumors have been floating around for a bit about another round of Coffee Lake processors being released built on Intel’s 14nm process. The Tech Report did some speculating on possible specs for the chips back in January and now, they have uncovered a potential leak regarding prices of the rumored CPUs. Several retailers including Provantage, Connection and CompSource have product pages up for three new Coffee Lake processors, complete with price points. The three new chips include one Core i3 and two Core i5s. The Core i3-8300 will reportedly be a four-core / four-thread processor clocked at 3.7GHz. The Core i5-8500 and 8600 will both be six-core / six-thread parts running at a base speed of 3.0GHz and 3.1GHz, respectively. The Tech Report compiled a list of lowest prices for Intel processors, starting from the Celeron G4900 and going all the way up to the Core i7-8700K from various vendors. The new CPUs fall right in line in terms of specs (limited as they are) and pricing. The new i3-8300 will sit right between the Core i3-8100 and 8350K. The two i5 chips will fill in the gap between the 2.8GHz Core i5-8400 and the i5-8600K, which has a base speed of 3.6GHz but can run up to 4.3GHz with Intel’s Turbo Boost. 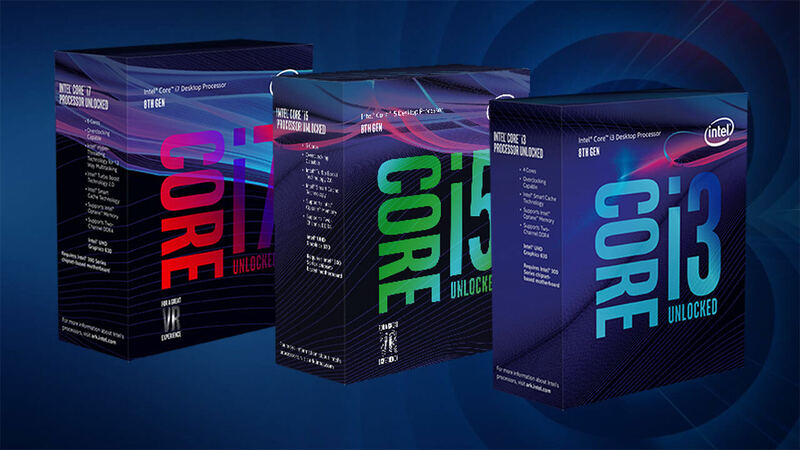 In addition to the new CPUs, Provantage has listings for "T" versions of several Coffee Lake processors including the Core i3-8100T, Core i3-8300T, Core i5-8400T, Core i5-8500T, Core i5-8600T and Core i7-8700T. Such variants are typically underclocked and have lower TDP ratings than their counterparts. “We don't know the TDPs of the Coffee Lake T-models, but going by past experience, they'll probably slot into 35-W envelopes,” TTR speculated. Intel as of yet has not even announced any new Coffee Lake CPUs and prices between the retailers varied widely. So, as with all rumors, take this news with a healthy pinch of salt.